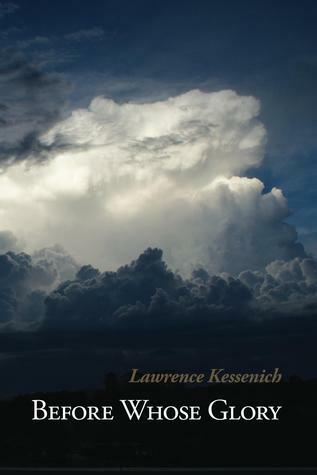 Lawrence Kessenich’s Before Whose Glory is his first full length collection of poems, published in 2013 by FutureCycle Press. Kessenich writes about time and space, people and places, unfathomable mysteries and the beauty of nature, the human condition and the experience of being alive. Before Whose Glory is a collection of beautifully crafted poems, each one a story, each one its own self contained universe. To say that Kessenich’s poems are accessible is not to say that they are without depth. The poems in this collection are deceptively complex, intricately layered and subtly nuanced. Each poem offers a clear path through the piece without obfuscation, needlessly difficult arcane references or unintelligible abstractions that might otherwise leave me bewildered and wondering if I’ve missed the point. These pieces are compelling and evocative. They insinuate their way into my subconscious and run through my head like my favorite songs. They are poems I find myself going back to and noticing something new with each reading. Kessenich’s poetry is narrative and reflective and the artist’s sensibilities are pervasive throughout the collection. His understated, gently ironic humor and sense of the absurd comes through in the pieces based on true stories ripped from the news that are stranger than fiction. Other poems are poignant and compassionate reflections on relationships and family life written from the perspective of being the Devil himself, a kid with a paper route, a son, a lover, a husband, a father, or a citizen of planet Earth. With this collection of symmetrically crafted poems, Kessenich demonstrates a dazzling ability for juxtaposing the mundane with the sublime. Some pieces begin in a very ordinary setting and end in reverent contemplation of the spiritual and metaphysical and sometimes it’s the other way around. Either way, the poems in Before Whose Glory give me cause to pause; stop what I’m doing, question, reflect, appreciate and remind me to be grateful for life and all its blessings.